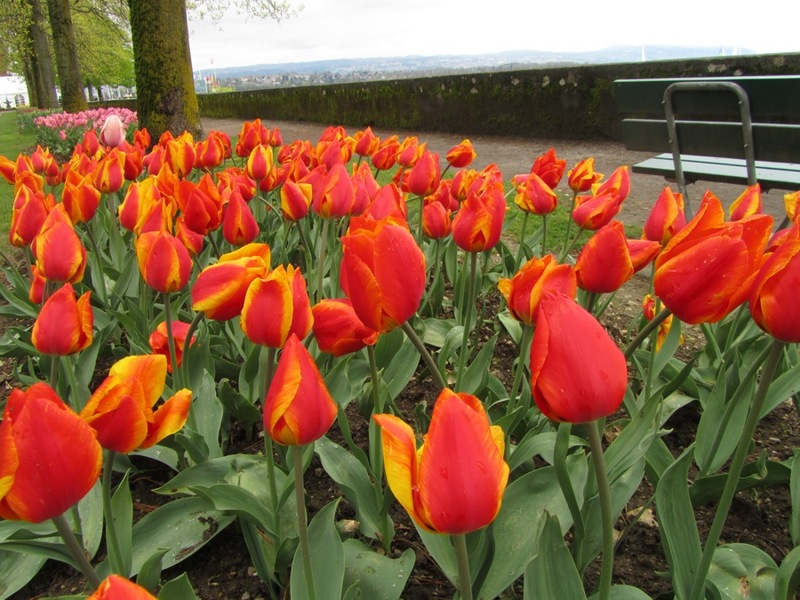 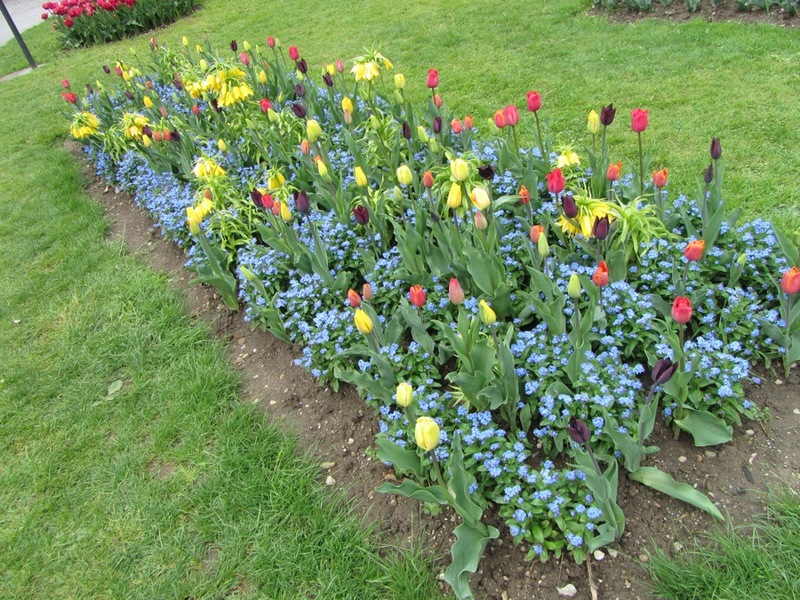 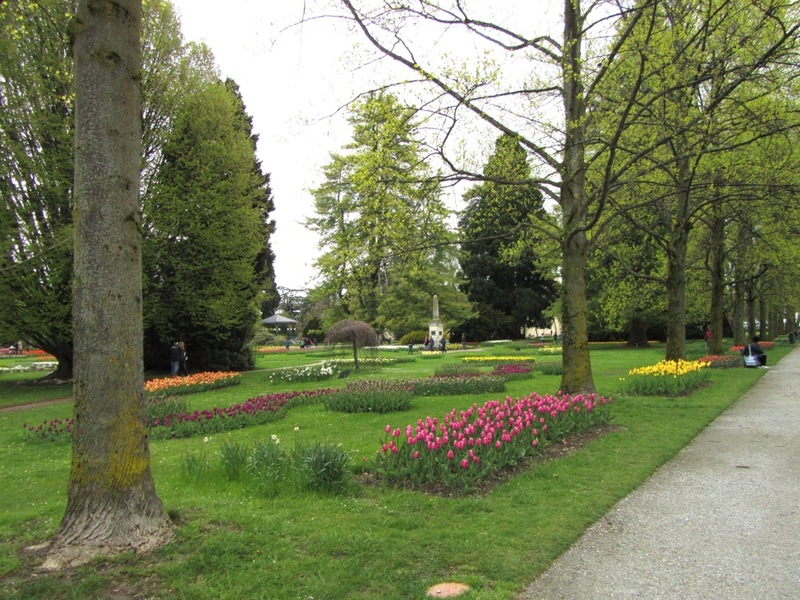 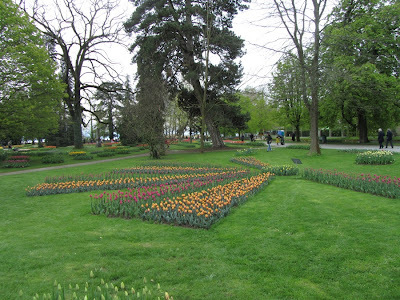 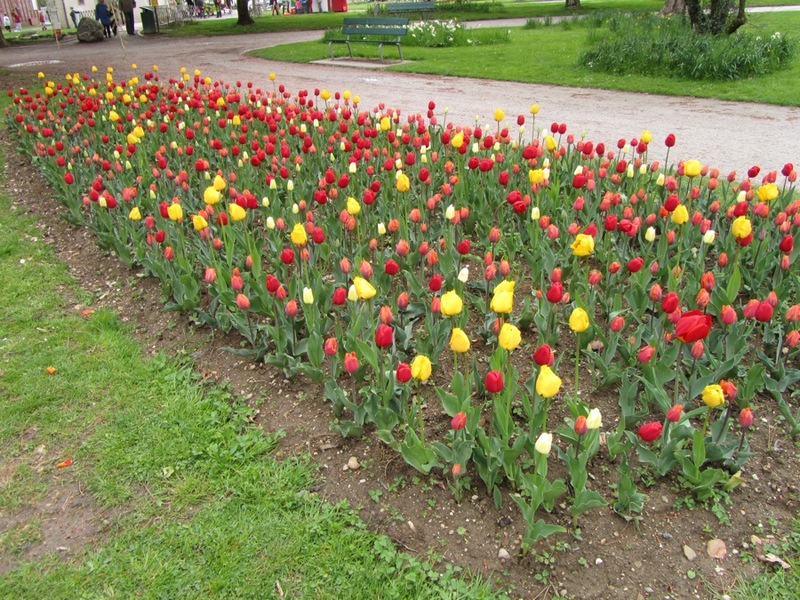 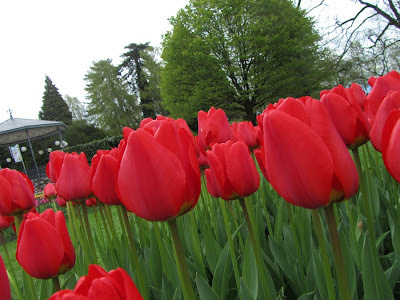 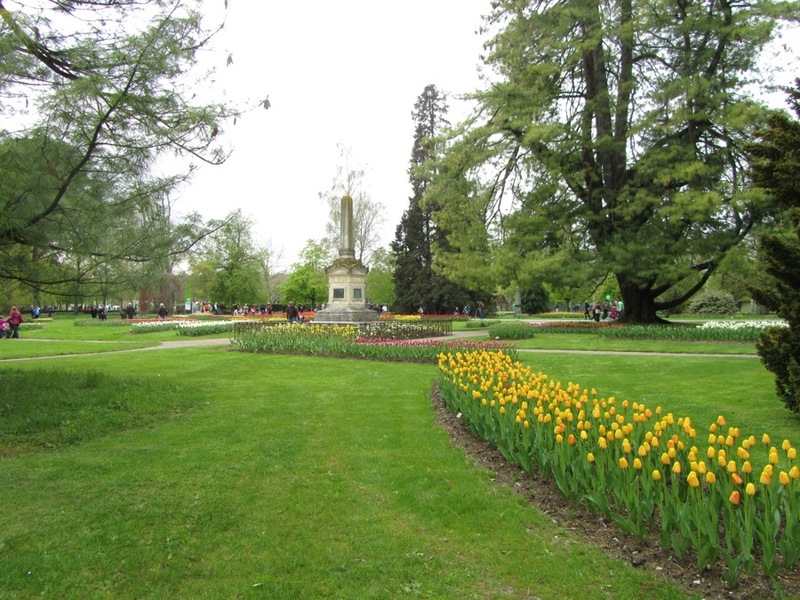 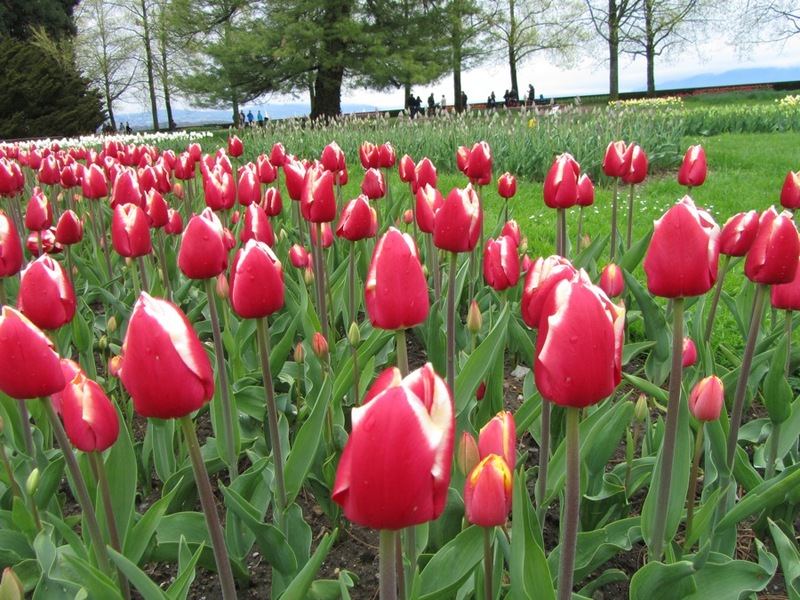 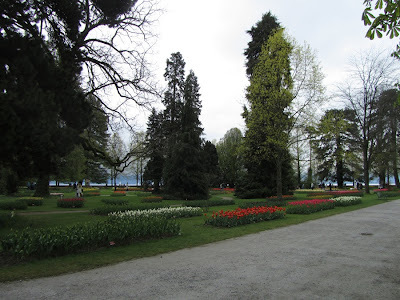 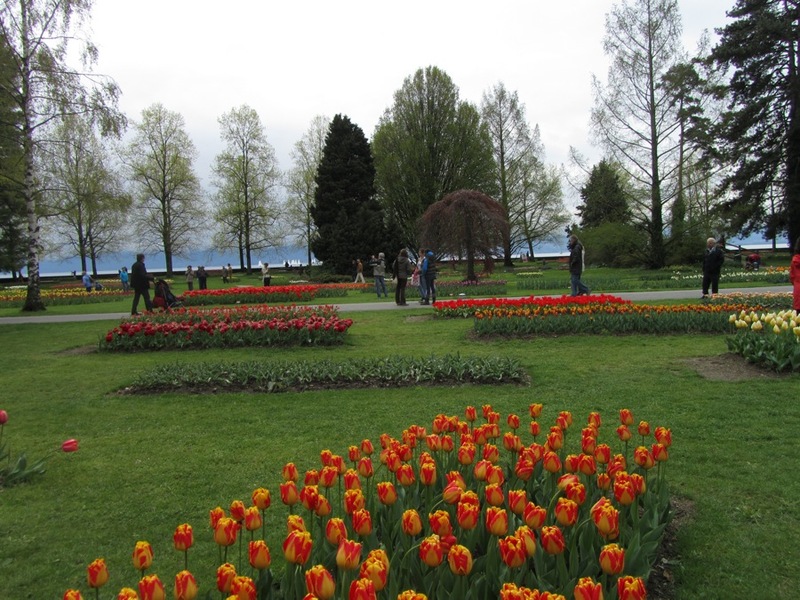 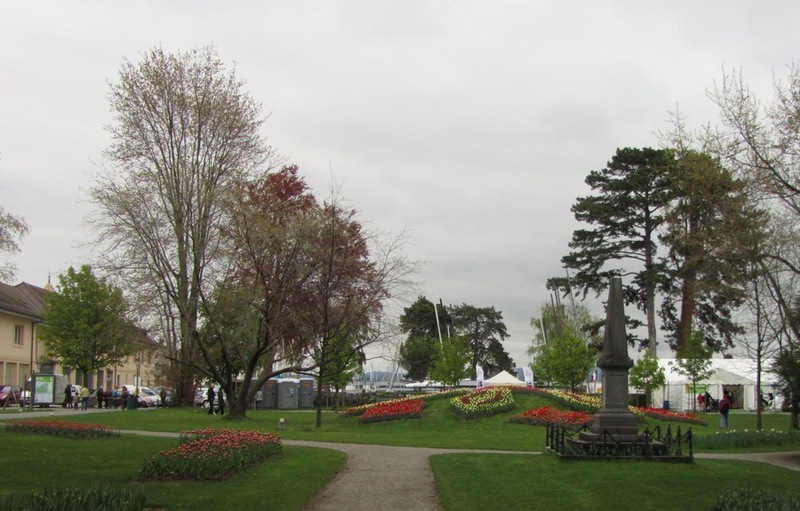 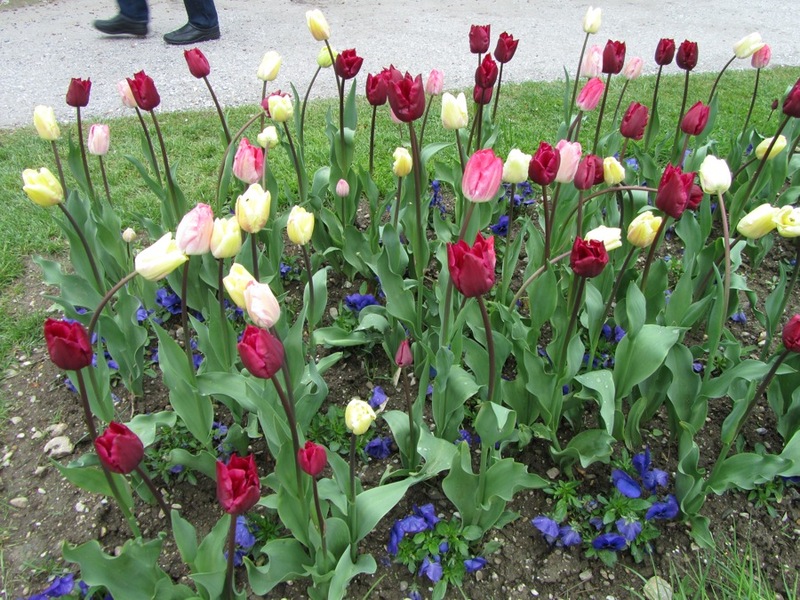 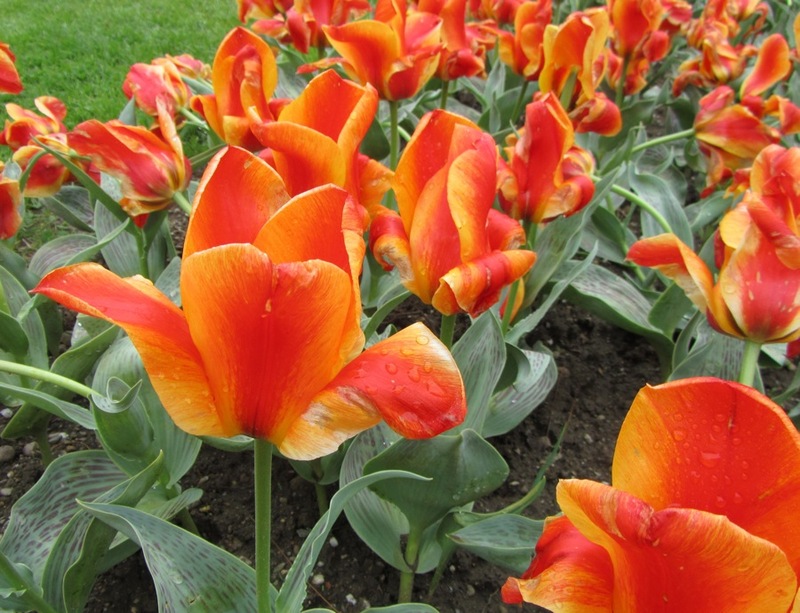 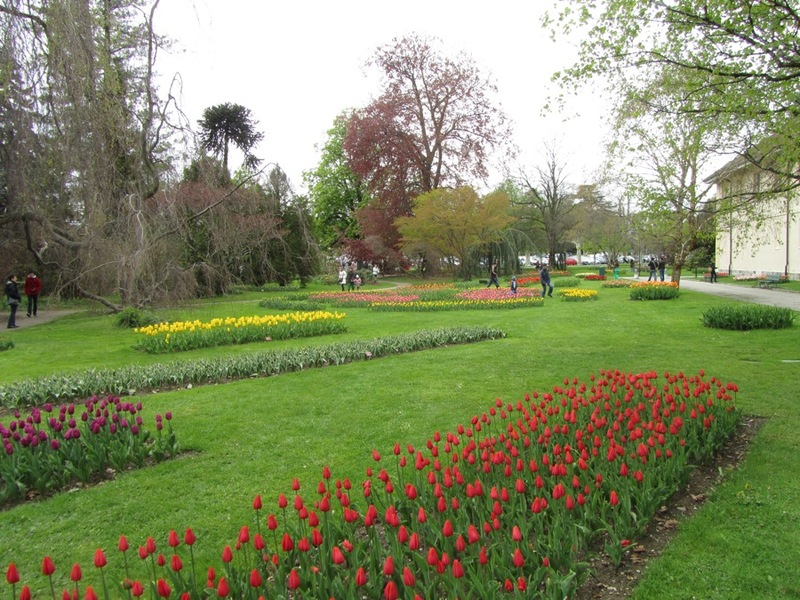 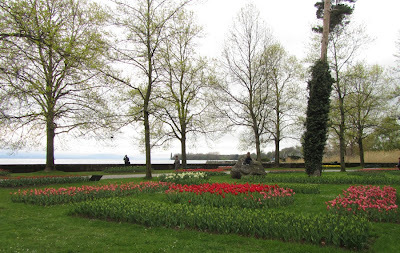 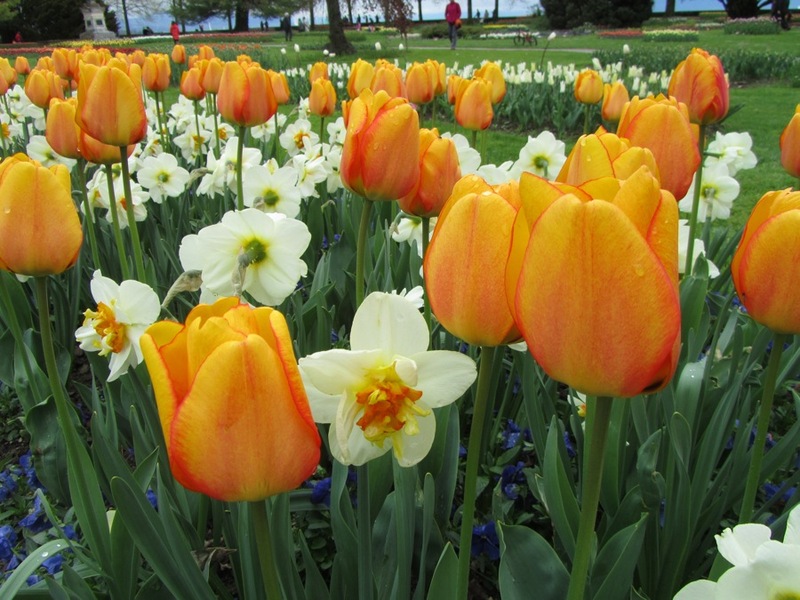 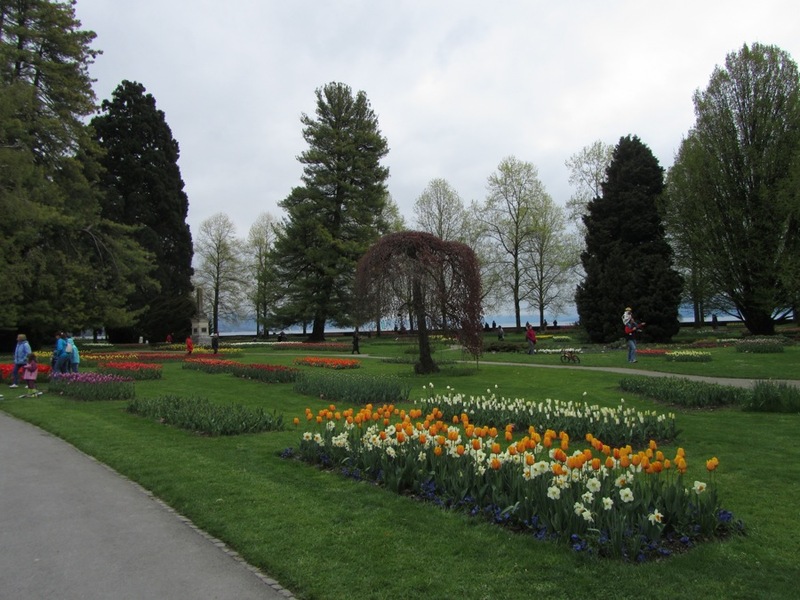 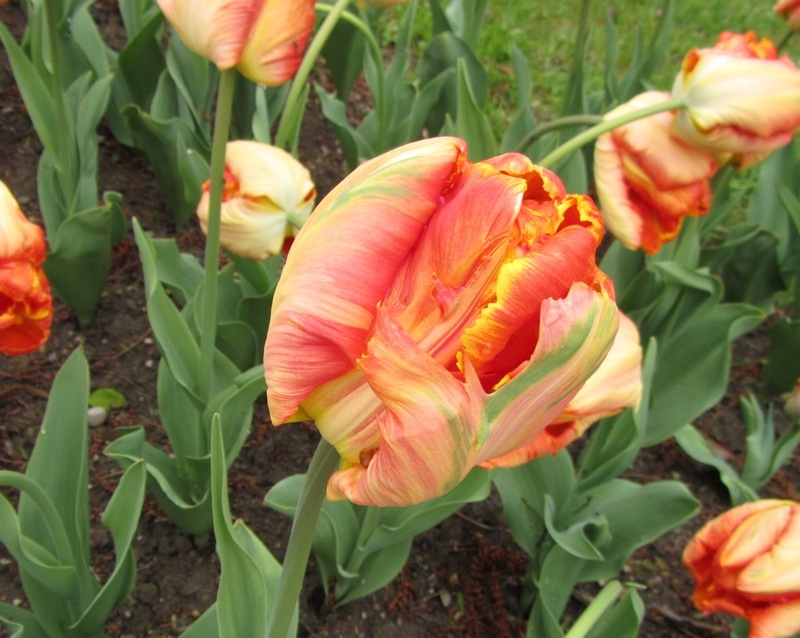 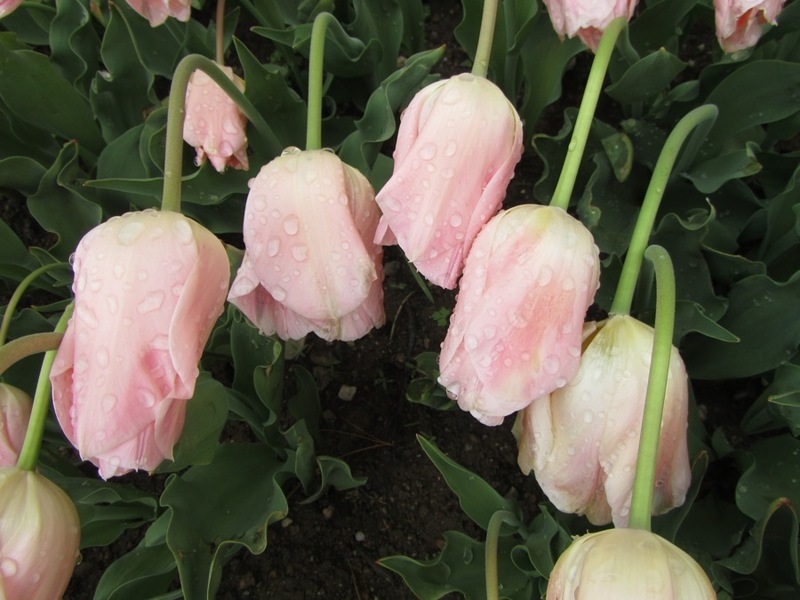 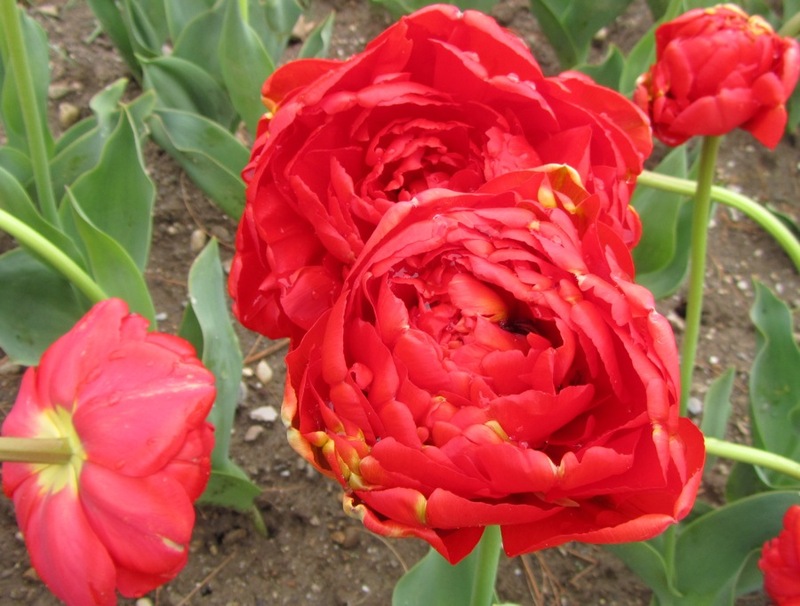 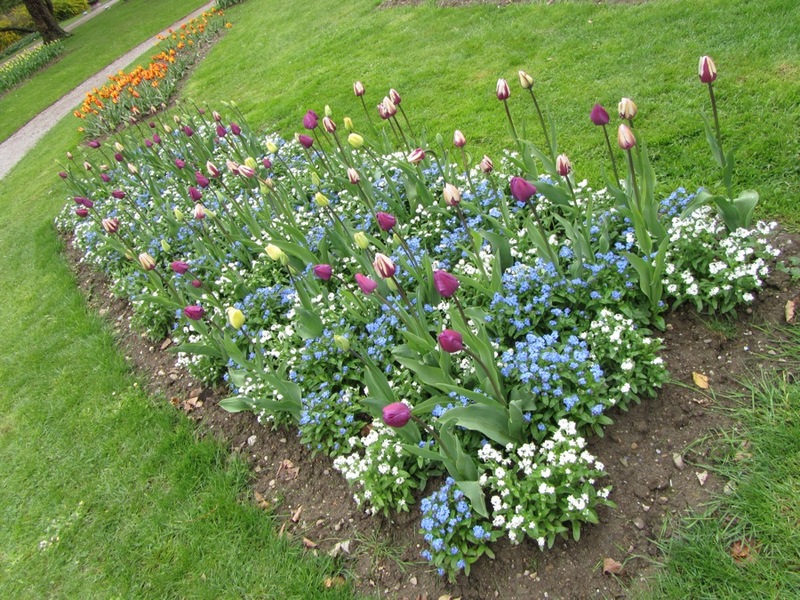 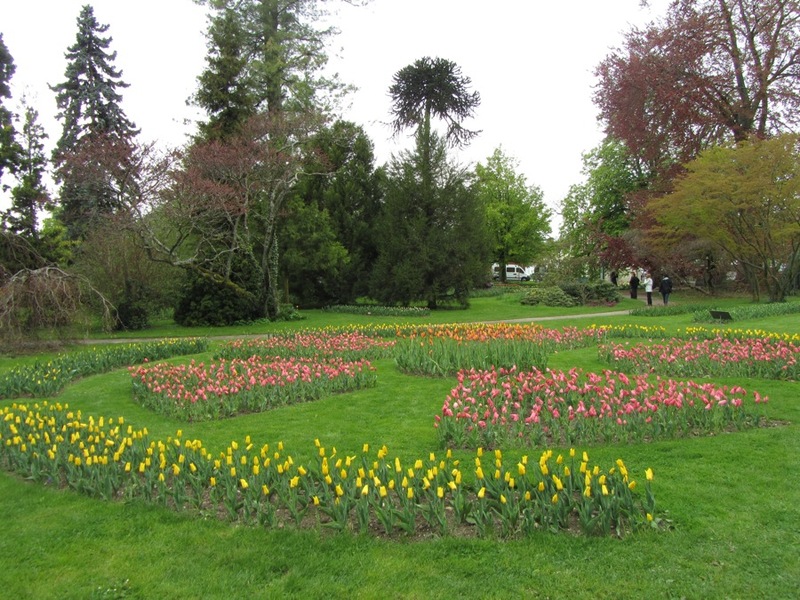 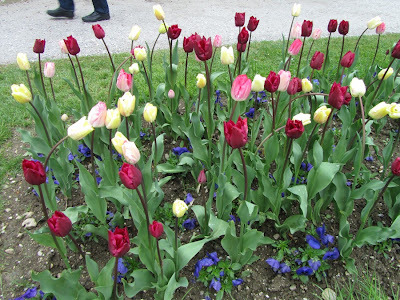 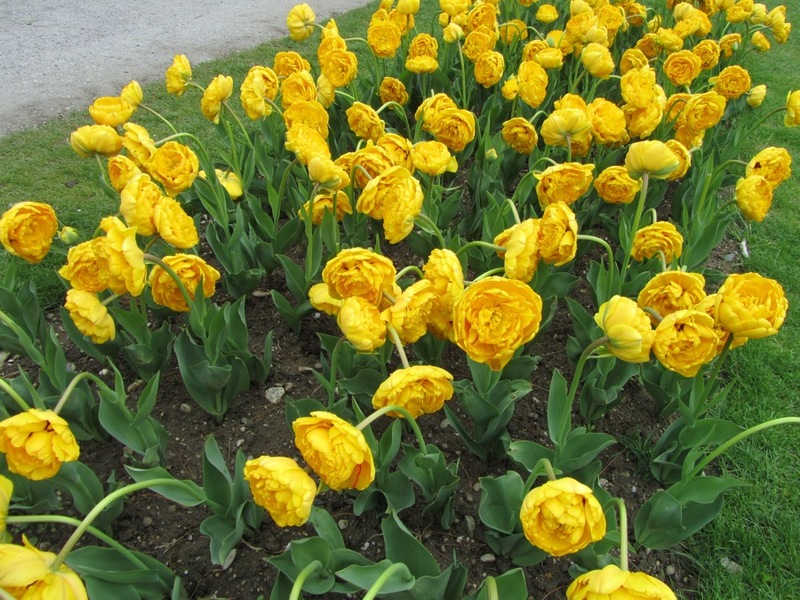 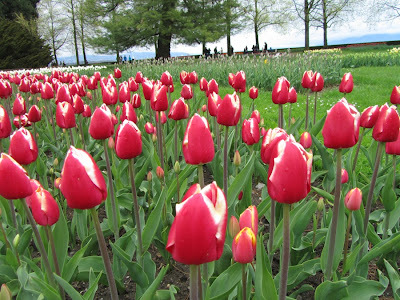 Back in end April, we visited the nearby town of Morges for its famous annual tulips festival in a park situated on the shores of Lake Geneva. 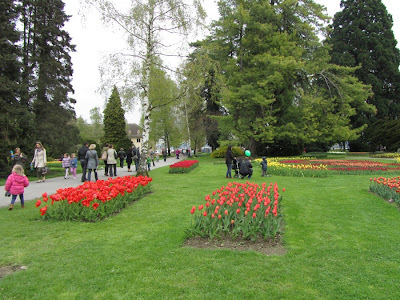 This is where we saw the dahlias in July. 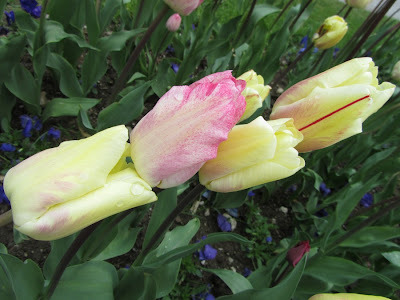 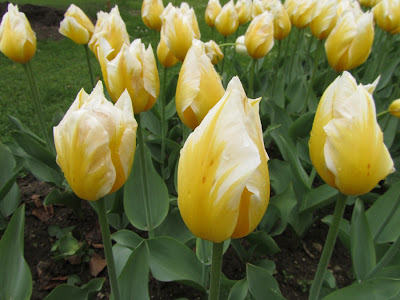 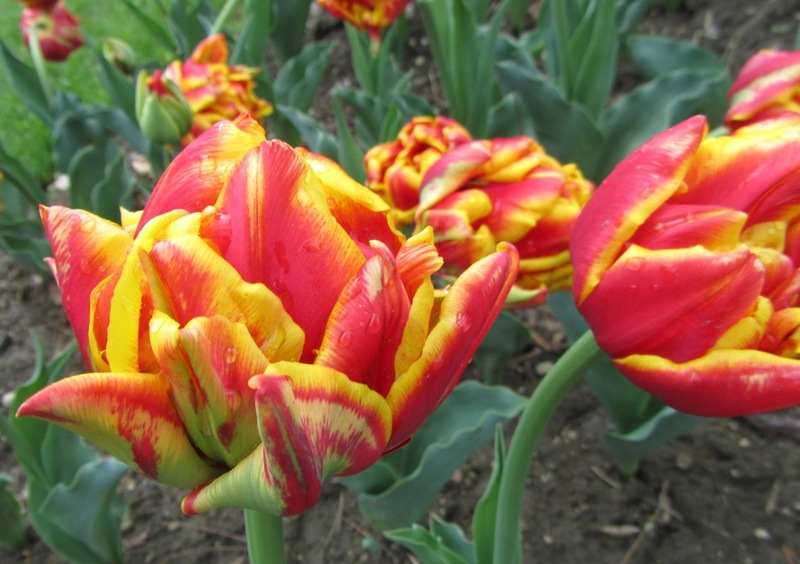 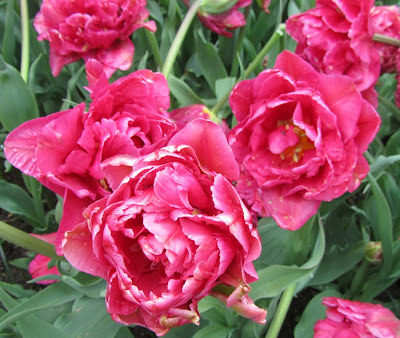 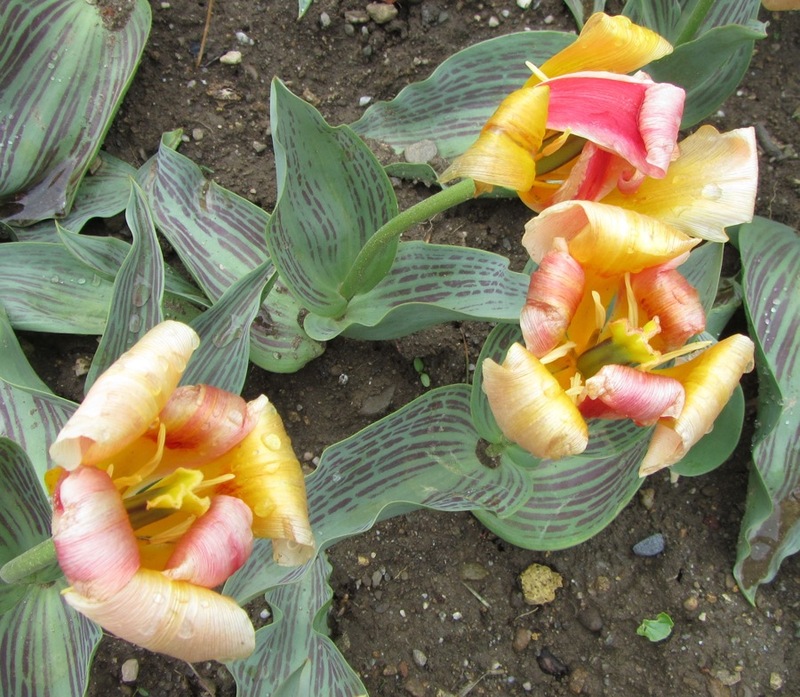 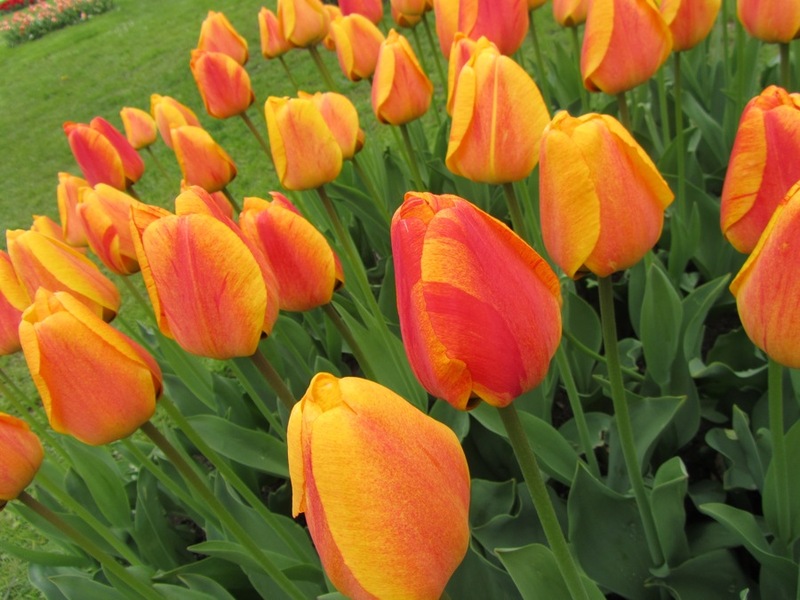 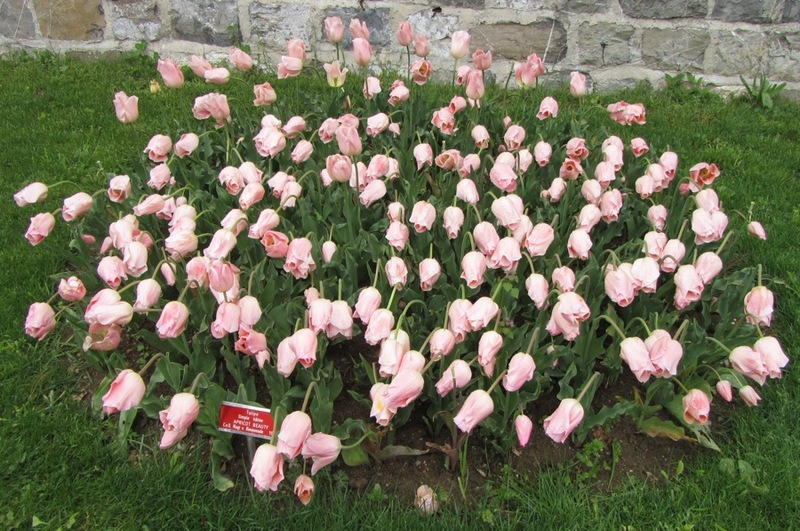 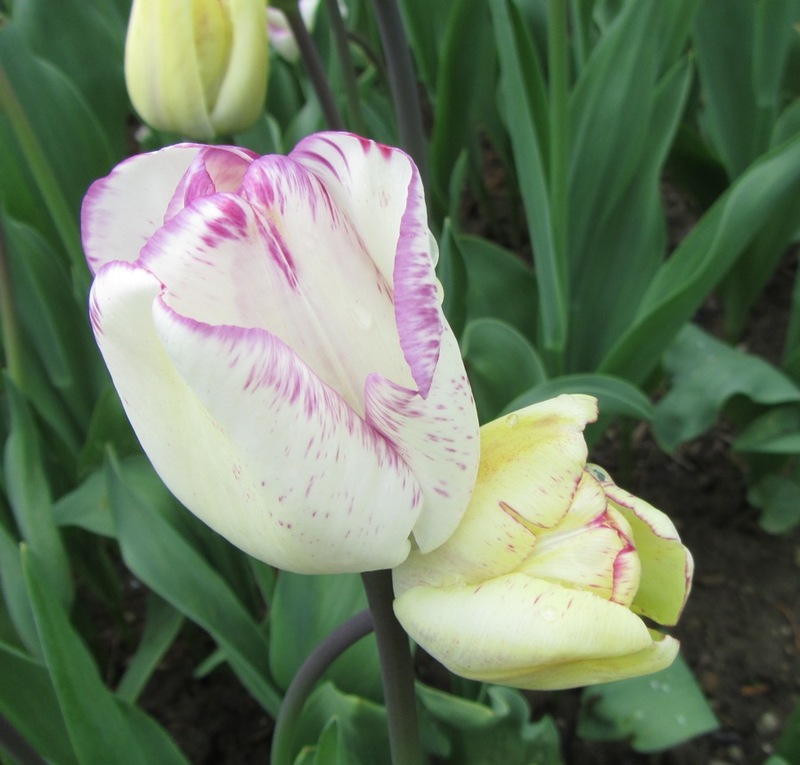 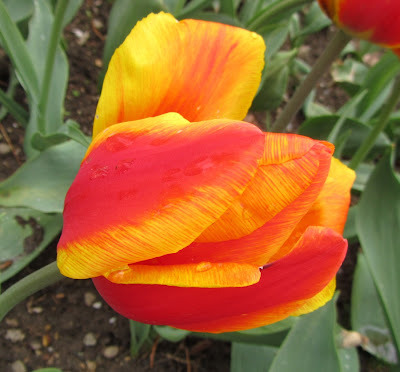 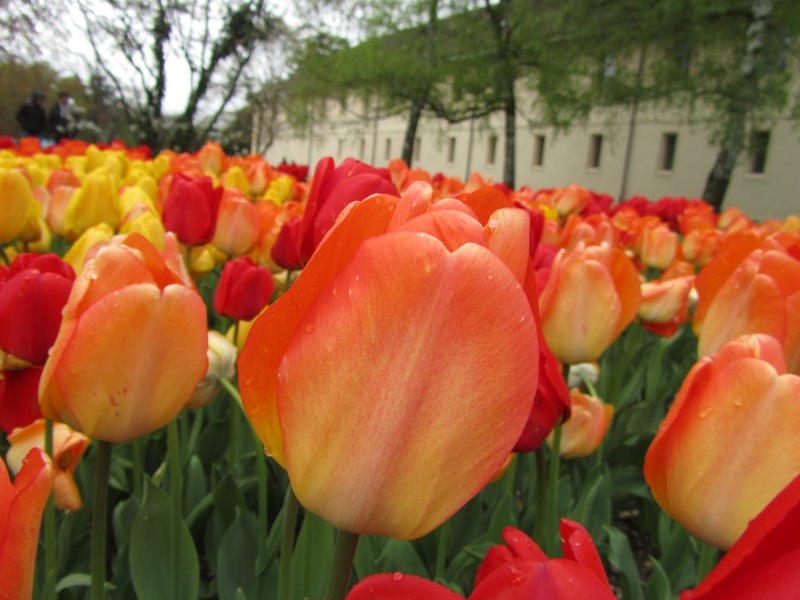 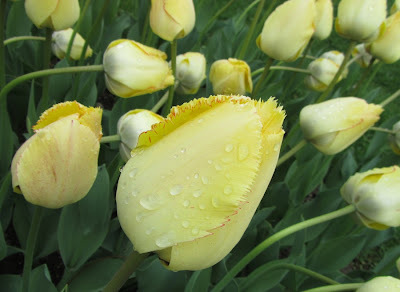 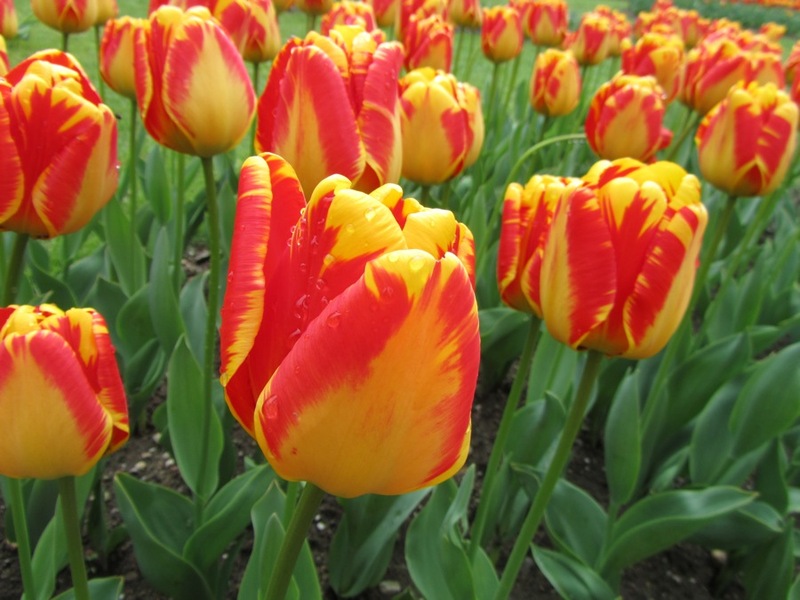 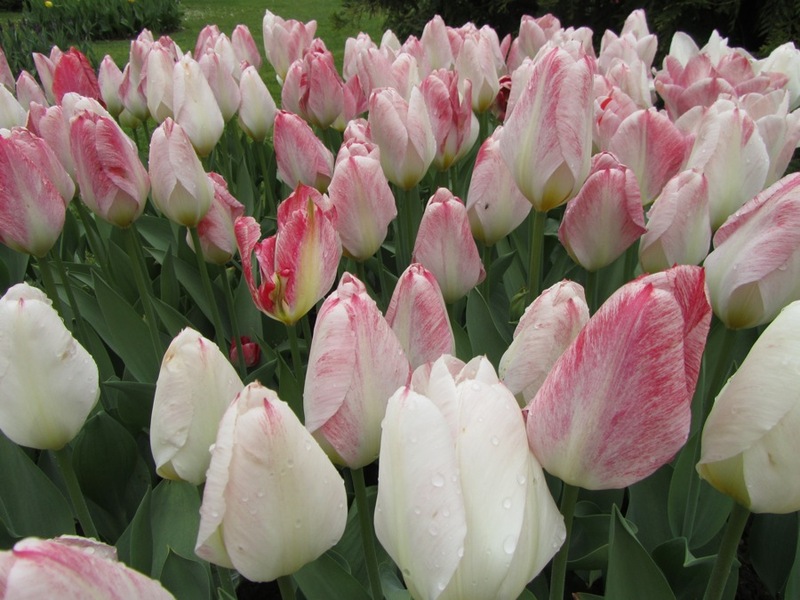 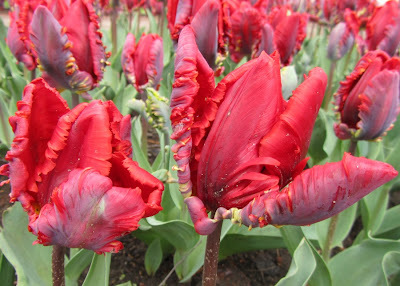 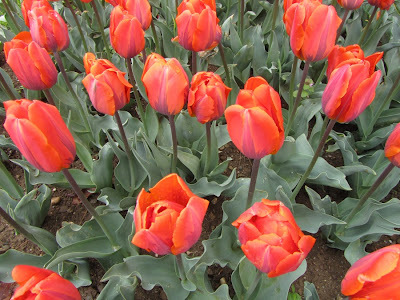 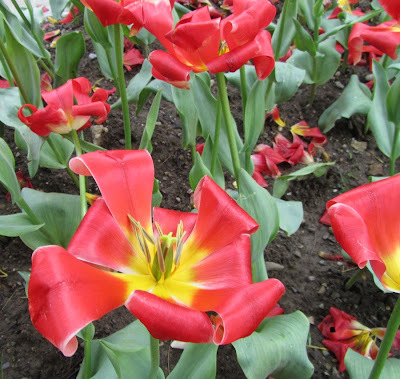 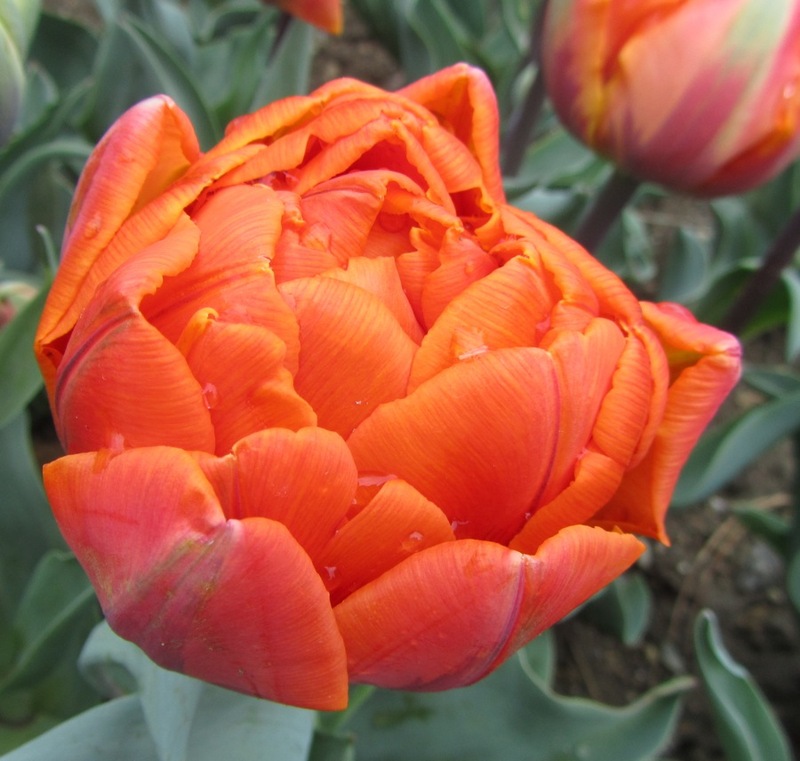 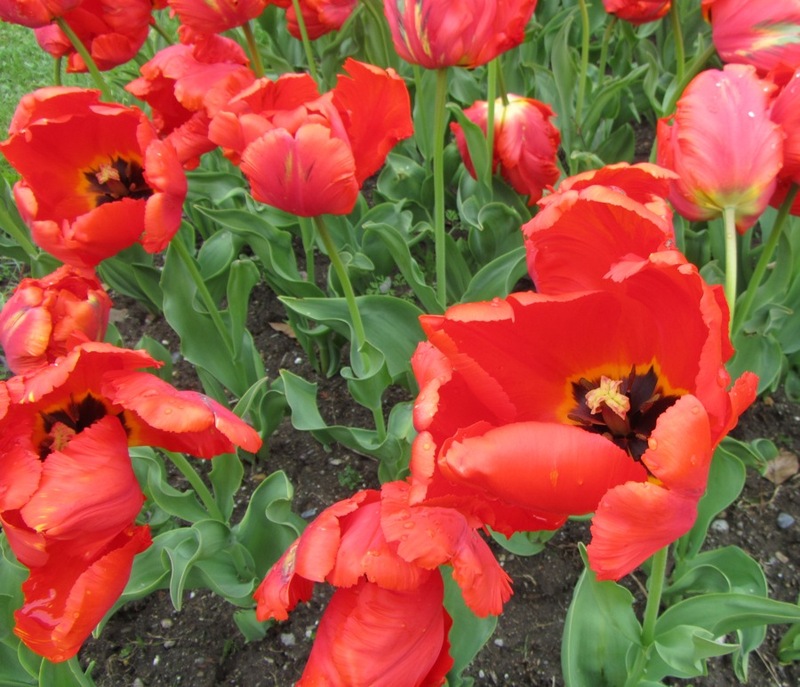 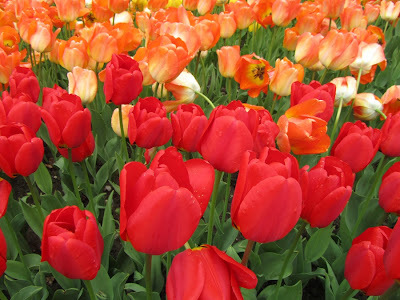 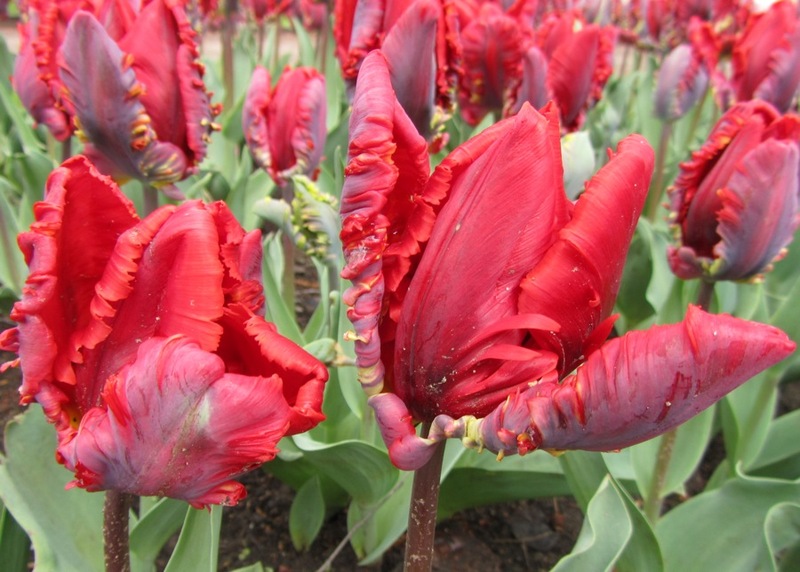 The hundreds of varieties of tulips in neat flowerbeds ran from the palest bridal pinks, cheery sunny yellow, voluptuous reds, bright corals to brooding smoky amethyst. 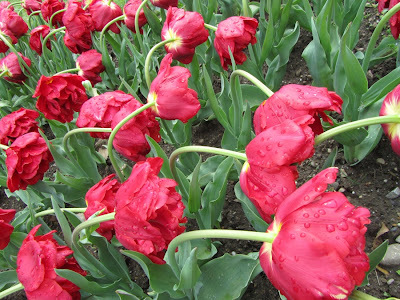 It has been an extremely rainy spring, causing several of these heavy blooms to bend under their own weight. There's simply no better way to spend a leisurely Sunday than enjoying these gifts of nature. 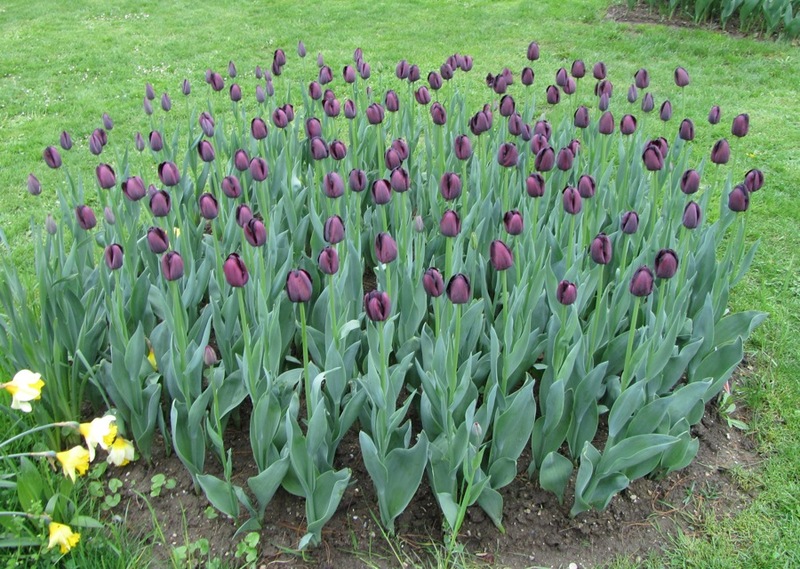 Pity we didn't have any luck planting tulips in our own garden this year although we did get some lovely alliums, lupins and irises with the hydrangeas just starting to bud. Hope you have a lovely weekend ahead! 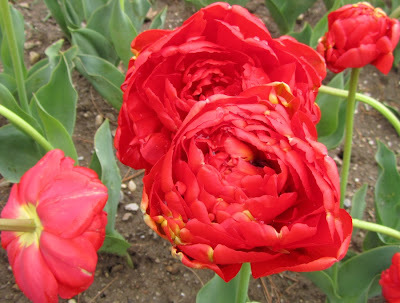 Ahh, the red ones are so voluptuous that they almost look like peonies, my favorite color is the deep purple one though, kind of reminds me of the pixi eyeliner and one of my favorite inks (J. Herbin poussiere de lune). 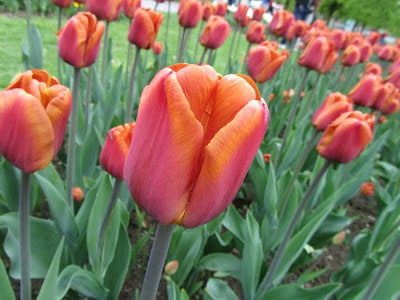 Wow so many wallpaper worthy pictures! What beautiful flowers. They had a Tulip display at Gardens by The Bay recently but I missed it. So looking at your pictures of hem kinda makes up for it. 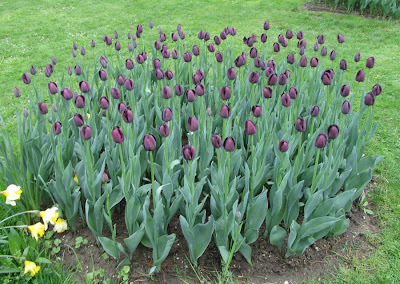 I cannot think of a better way to spend the day too Iris. 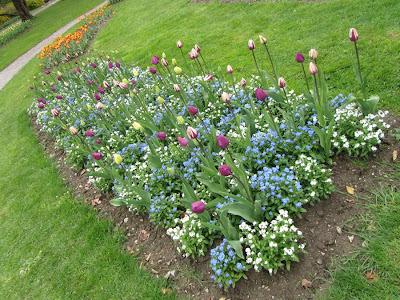 Looking at flowers cheers me up any day. 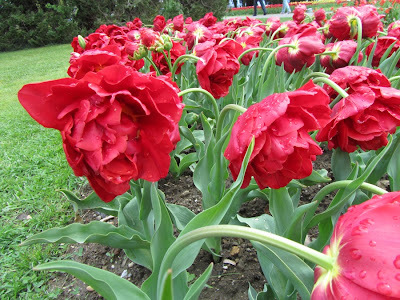 What beautiful pictures ! 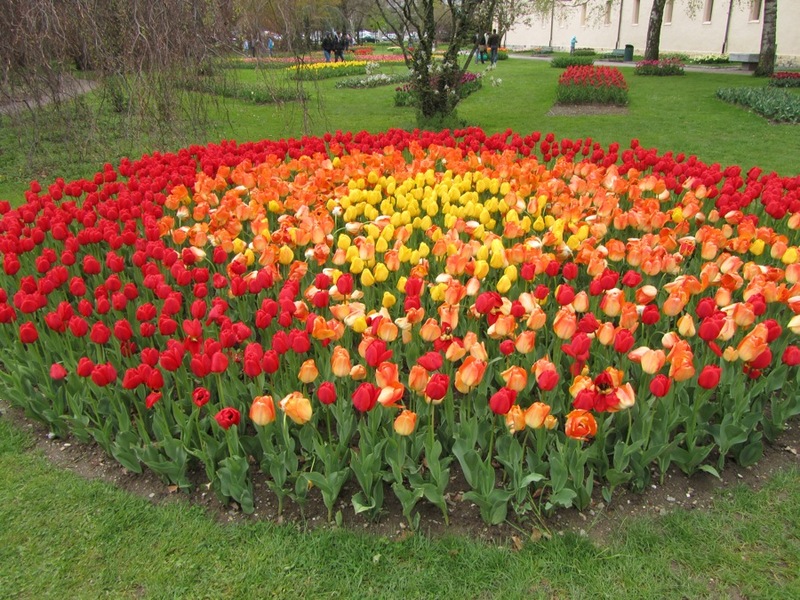 I am very impressed ! 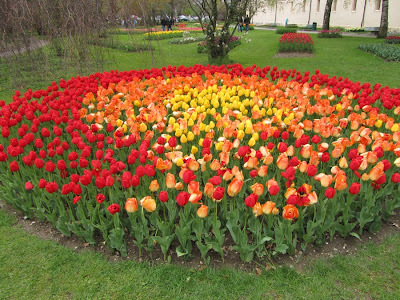 I am sad I couldn't go see the flower myself !